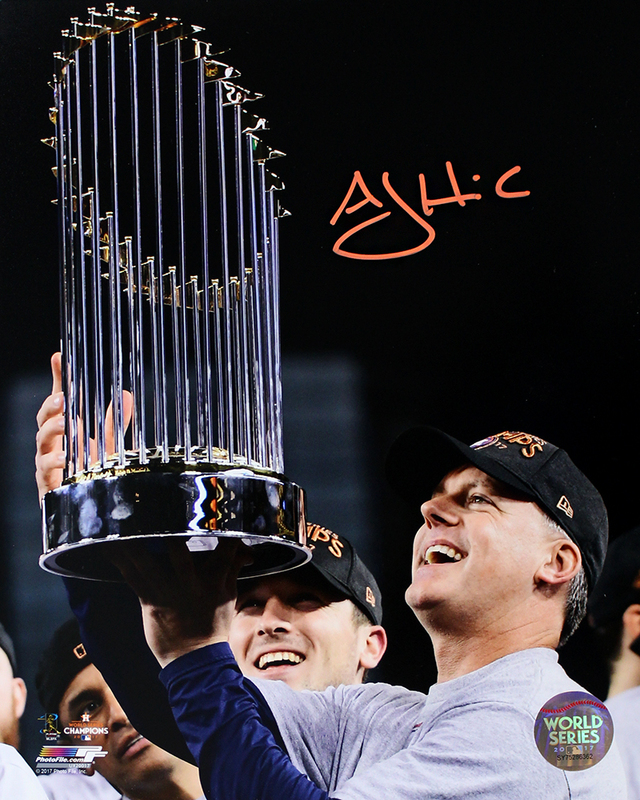 This Houston Astros 2017 World Series 8x10 photo has been hand signed by team manager A.J. Hinch. Each autographed photo includes authentication from TRISTAR Productions.